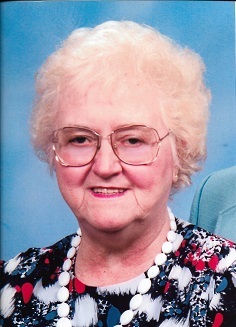 Mary P. Murphy, 92, of Apex, NC and formerly of Oil City, PA, passed away peacefully late Tuesday at UNC Rex Hospital in Raleigh, NC surrounded by her loving family. Born Dec. 20, 1925 in Oil City, PA, she was the daughter of the late John & Bridget Gorman Moore. Mary is survived by her devoted husband of 61 years Raymond W. Murphy. Mary was a graduate of Oil City High School. She had worked as an insurance underwriter for Loyal Christian Benefit association for many years. Mary cherished Ray and dedicated her life to all her children and grand-children. She was very proud of her Irish heritage and enjoyed sharing family history with everyone. John, Scott and Mark Murphy, Charles Hulett, Matthew & Shannan Twomey. In addition to her parents, she was preceded in death by a son-in-law B.J. Hulett and 3 sisters Helen Self, Nora Wilson and Catherine Wethli and her brother Edward Moore.